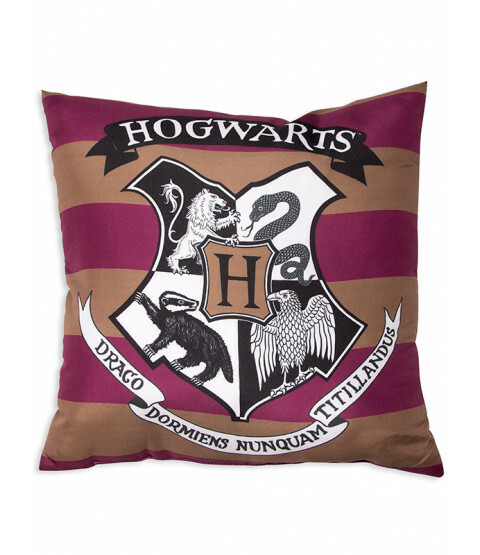 This Harry Potter Muggles Cushion is ideal for any fans of the young wizard. 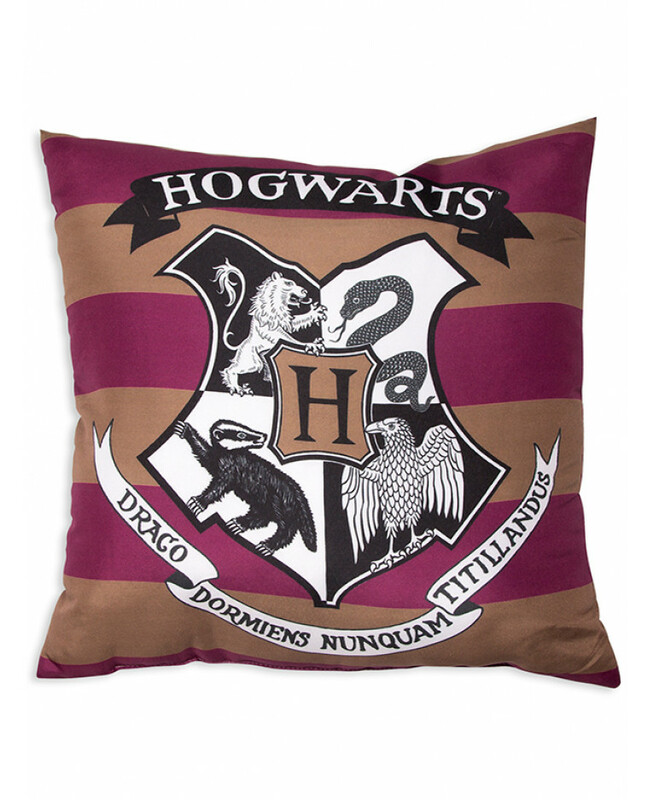 The reversible cushion features the Hogwarts school crest and motto on a scarlet and gold striped background on one side, while the other is reminiscent of Harry's quidditch shirt, with H.Potter, the seekers number seven and a golden snitch on the same striped background. 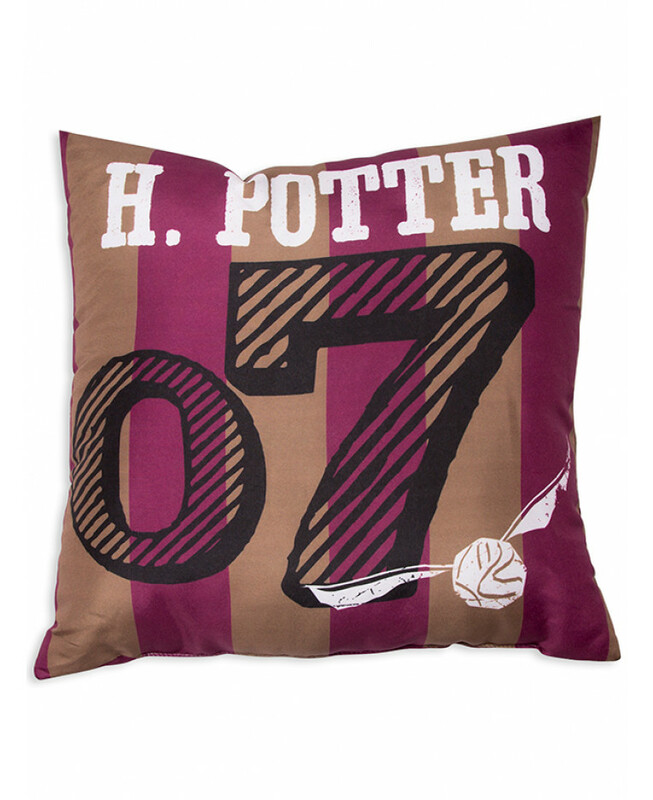 This cushion is a perfect accompaniment to your Harry Potter duvet cover and can be sponge cleaned.